Candied bergamot peel covered in Venezuelan dark chocolate The new Voilé flavour is a favourite of the world of parfumes and star chefs - at chocoMe, we dip the bergamot peel in a 72% dark chocolate blend made from the noble Venezuelan Criollo and Trinitario cocoa beans. 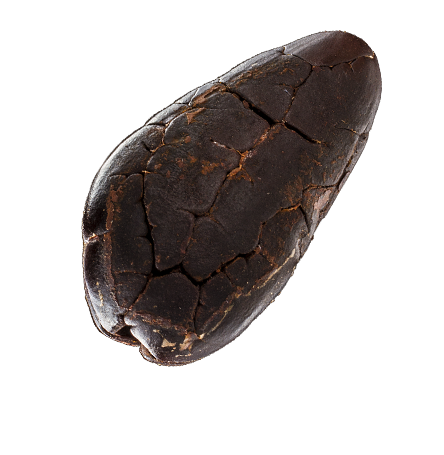 The uniquely complex flower and fruit aromas cast in a special chocolate meld make for an incredible experience. The outer layer of our rather special Voilé consists of Venezuelan dark chocolate holding the pink grapefruit in a bittersweet embrace. Due to the freeze-drying process the fruit is able to keep it's flavour harmony of being sweet, sharp and bitterish as the same time. Grapefruit is one of the most versatile of fruits, with a flavour that has equally sweet, sour and bitter notes. This fact is unsurprising when we look at it's heritage: it is a result of cross-breeding orange and pomelo. The pink variety is merely a hundred years old, with a more lively aroma and a less bitter taste than it's white and red cousins. Mango is one of the favourite fruits of chocoMe's chocolatier. We spent years searching for a product with the outstanding quality and finally we found it in Thailand. We carefully cut the mango slices ourselves and pair it with a 70% French dark chocolate with intensive notes of cocoa.